This Miniature Border Collie named Sadie has been blessed with an abundance of character and energy. 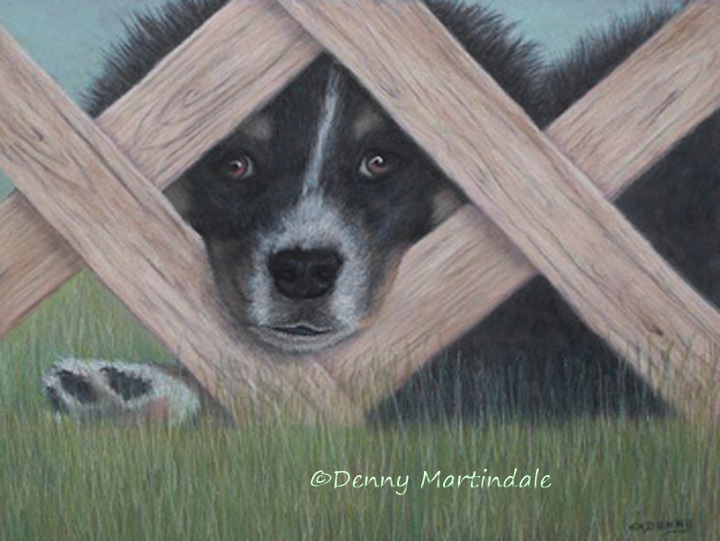 As a puppy, she was lying on a kitchen floor behind a section of lattice panel with her nose poking through. She appeared to be saying, "I promise to be good!" Her owners were quite pleased with the 11" X 14" pastel pet portrait.